This Bible seeks to be a tool which will aid us in evangelism, but it is also a Bible with cross references, a concordance and f ull-color maps. The rest of the resources in this book relate directly to Evangelism. This includes: book introductions highlighting evangelistic themes, 2,600 study-notes, articles which give you evangelistic tips, training in apologetics, discipleship or contextualization, ‘how-to-features,’ and devotions. Larry Moyer, founder and CEO of Evantell, hopes that this resource ‘will provide you with the training to explain and make clear the good news of the gospel. (Introduction p. v). Because of the focus on Evangelism, the study notes are not comprehensive in their treatment of all the Bible’s themes. Creation is treated briefly in two or three study notes. The first feature article is on the first sin (4). The study notes are sparse in much of the Pentateuch or the Old Testament historical books. Only when the implications for evangelism can be seen (directly or indirectly) are there notes, leaving some difficult material (i.e. genealogies, sacrifices, etc) without comment.This isn’t so much a criticism, but a recognition that a volume like this comes with certain limitations. The articles themselves have helpful material, sometimes imparting knowledge and skills, at other times taking a look at the heart of the evangelist (the best way to share a compelling vibrant faith is to have one yourself). I had three questions as I surveyed the notes and articles: (1) What is the content of the gospel that this Study Bible commends? (2) How does it handle the gospel-go-to passages? (3) What about other passages? What is the Content of the Gospel? How does it handle the Go-to-passages? Evangelicals have long had their go-to-texts for Eeangelism. Think John 3:16, the ‘Romans Road’ passages, 1 Corinthians 15:3-8, Ephesians 2:4-10 etc. These passages focus on what Christ did through His cross and resurrection to bring us in the way of salvation, and our role in accepting Christ through faith. As mentioned above, the focus of the notes are on our personal, eternal destiny. Little is said about the abundant life in Christ now (John 10:10, Luke 18:30) or passages that relate to gospel justice. The good-news-proclamation in the Synoptic gospels was the announcement that God’s kingdom was at hand (Matt. 4:17, Mark 1:14-15). These passages are referenced in the notes but the concept of kingdom is not really unpacked in relation to gospel proclamation. Again this is all good in as far as it goes but more could be said! I have already hinted at an approved canon with in the cannon that this Study Bible focuses on for Evangelism and the gospel. There are other passages which are full of good news which the notes fail to engage substantively. Related to this season (and my Sunday sermon text), I think of Mary’s Magnificat (Luke 1:46-55). Despite the way this passage announces and proclaims God’s saving action and looks joyfully at the wonder of Christ’s Incarnation, the notes treat only three verses of her song. For verse 48, the notes make clear that contrary to Mary’s claim of blessedness, Christ alone is our Redeemer (1117) and that those experience God are those who fear him (verse 50). There is a brief note on Abraham’s seed and how God is a promise keeper (vs. 55). Fair points, but this fails to wrestle with Mary’s message about how God should be praised for his action in her life—how the proud and the powerful were being brought down while the humble were being lifted up. This is a gospel word and the notes fail to engage her song and its implications for Evangelism. Thank you to Kregel Academic for providing me with a copy of this book in exchange for my honest review. 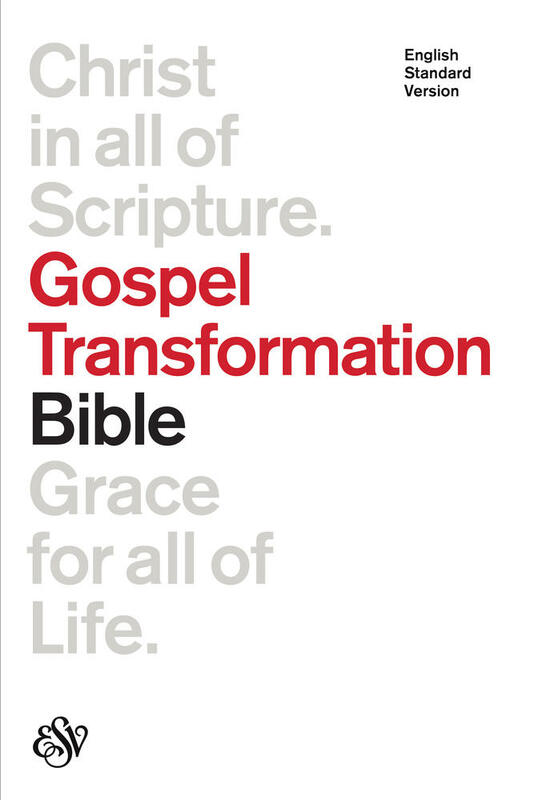 The Gospel Transformation Bible is not a Study Bible, at least in the traditional sense. A team of scholars and pastors have joined together under Bryan Chappell’s and Dane Ortlund’s editorial direction to answer two questions: (1) How is the gospel evident in all of scripture? and (2) How does the gospel of grace bring about our transformation? Each of the books of the Bible have a brief introduction which describes authorship and date and how the gospel is illuminated (how it fits into the larger story of salvation). The notes on the bottom of each page, continue this dual focus on God’s larger plan of redemption and implications for our life. Sometimes the notes are as detailed (particular books have more expansive and detailed notes). Some passages are passed over without comment (i.e. certain narratives in the Old Testament historical books do not carry much comments). The reason for this is that the notes are focused and so do not attempt to untangle every difficulty in the text (like a Study Bible would). What is the gospel that contributors describe? It is focused on Jesus’ life, death and resurrection as God’s plan of redpemption for humanity. But Jesus did not come in a vacuum. The Bible tells the story of God’s relationship to his people and the First Testament anticipates Christ’s coming. Thus the contributors to this volume, read the Bible Christologically (yet sensitively). Some great scholars and interpreters have contributed to this Bible. Among them are Michael Horton (Joshua), V. Philips Long (1-2 Samuel), Bruce Ware (Psalms), Graeme Goldsworthy (Jeremiah, Lamentations), Bryan Chapell (Daniel), Frank Thielman (Matthew), R. Kent Huges (1-2 Timothy) and more. Because some of the scholars are more scholarly and others more pastoral, there is a lack of consistency from book to book. Each of these individual interpreters give their particular spin on the gospel implications of a passage or book, though they share a broad agreement on the gospel. Scot Mcknight argued in The King Jesus Gospel (Zondervan 2011) that certain evangelicals have reduced the gospel to the message of personal salvation, rather than describing how Jesus fulfills the hopes of Israel. In general I would say that most of the interpreters in this volume are not guilty of McKnight’s charge. They have attended to the wider biblical story and not just the ‘order of salvation.’ However there are occasional lapses. For example, Daniel Doriani’s notes on James reduce the book’s gospel value to illustrating our inability to enact ‘true religion,’ driving us back to the grace of Christ. I would say that James carries social implications (care of widows and orphans) which make the gospel manifest. The gospel in James should not be reduced to the level of personal sin (only). But this is one example. At other points, I think the notes are brilliant and illuminating. Another feature I appreciate about this Bible, is the use it makes of the ESV cross-reference system. Following these cross references sheds light on particular themes and I find that helpful. Purchasing the Bible in print gives you access to the Bible online (it is easier to access cross-references if you don’t have to flip through pages for every verse). This makes this a very practical choice for personal study. In general I am pretty happy with the quality of this Bible. The notes are not always perfect (some interpreters are more perfect than others), but the inspiration of the Bible does not extend to marginal notes. I appreciate how well executed the final product is. And I absolutely loved finding Phil Long’s contribution (on Samuel). Long was my professor for two classes of Exegesis at Regent College (neither of which focused on Samuel, but because it is an area of some expertise I heard plenty of Samuel examples). From Phil I learned to read Old Testament narrative sensitive to its narrative craft, its historical value and theological import. I like having some of his practical insights in print form. I give this Bible 4 stars and would recommend it for personal study. I am not a huge fan of ‘study Bibles,’ but the unique features and perspectives of this Bible make it a valuable contribution. Thank you to Crossway for providing me a copy of this book in exchange for my honest review. These features enable readers to connect their favorite worship songs to their Bible reading, making this a resource which promises to enliven worship and enrich your personal devotional life. I like the NIV so I am predisposed to like this Bible. I have spent less time with the 2011 version than I have the 1984 version or the TNIV, but generally like what I have seen from the 2011 NIV. The gender inclusive language in this edition is curtailed when it conflicts with biblical idioms and prophetic references to Jesus, so it corrects places where the TNIV went overboard. However I found myself underwhelmed by the devotional articles on worship. Certainly I learned some things from them. Notably, I learned that one of my favorite hymns, How Great Though Art, has its origins in the Swedish revival that birthed mmy current denomination, the Evangelical Covenant Church. On the other hand, the worship songs included in this book are the most popular ones, not necessarily the best ones. Some of the worship songs included (I won’t share which ones in case they’re your favorite) I find vapid and shallow. The song stories and reflections on these songs do not run very deep (how could they?). Other songs have interesting stories which enrich my appreciation of them and are personally instructive. However there is an unevenness in these articles. Also I found the ‘worship’ articles lacked any cohesive unifying theme. They didn’t seem to be correlated at all. While an index gives you the scripture references for each song, when you look at the articles, they do not tell you where to find the next devotional article. This doesn’t strike me as very user-friendly. Certainly I can go to the index and make my own devotional reading plan, but I think that Zondervan should have put a ‘next lyrics and ‘behind the song’ article is on page___’ at the end of each article. It would have made it easier to navigate (I’ve seen other devotional Bible’s do this). My major issue with the Bible is that I had hoped their would be more of a conscious effort to impart a theology of worship in the text. A single article by John J Thompson entitled “Songs as Worship” stands between Revelation and the Table of Weights and Measures. There is nothing wrong with this article. Thompson says some good things, but I wish that the complementary articles went deeper into a biblical theology of worship. So I give this a middle of the road review: just ★★★½. However I did actually like the inclusion of lyrics and chords of worship songs. It made me think this is the perfect Bible to take camping with your guitar, so when you need to pull out chords for a worship song to have that epic quiet time in nature, you can actually do it with out bringing along a song sheet binder. I do feel like many of their song choices will be dated in a couple of year, so I wonder about the longevity of this Bible, but I think that guitar players and worship music lovers will probably appreciate having this resource. Thank you to Zondervan for providing me a copy of this Bible in exchange for my honest review. 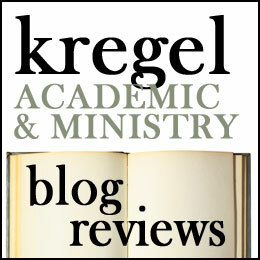 This is the second book in the Kregel Charts of the Bible series I have reviewed for my blog. The previous volume focused on a particular book (Hebrews). Charts on the Life, Letters, and Theology of Paul explores what we know of Paul in Acts and his Epistles and delves into his theology. Because this book doesn’t focus on one New Testament book, it does not have the focus that Bateman’s Hebrews charts did; however Lars Kierspel does a great job of providing an overview of Paul. In 111 charts, Kierspel organizes and presents information about Paul’s Greco-Roman context, information about his life and ministry, the purpose and content of various letters, and the theological themes developed throughout the Pauline corpus. The charts are organized under four headings. “Paul’s Background and Context” discusses Paul’s first century context (charts 1-9). In this section, Kierspel summarizes pertinent information about Roman political and social life, Greco-Roman religion, and first century Judaism and how these contexts inform Paul’s life. In Part 2, “Paul’s Life & Ministry,” Kierspel looks at Paul’s life, his various missionary journeys, the cities he visited and the men and women he interacted with (charts 1-34). Included in this section are charts illustrating Paul’s miracles, prayers and speeches, as well as comparisons between the portrait of Paul in Acts versus the Epistles. Part three (charts 35-77), “Paul’s Letters,” examines the epistles and records information on Pauline authorship, his literary sources and structure, OT and intertestamental allusions, Pauline vocabulary, and provides ‘snapshots’ of each letter. The final section, “Paul’s Theological Concepts,” traces various themes through Paul’s teaching (78-111). These include theological concepts (i.e. Christology, Pneumatology, Soteriology, etc.) as well as Paul’s teaching on ethics, virtue and vice, men and women, and slavery. The final two charts summarize modern Jewish views of Paul and compare and contrast old and “new perspectives” on Paul. I like the concept of these chart books for several reasons. Most of the information in these books can be found in good commentaries, but charts make the information available at a quick glance. They are a good pedagogical-aid for teachers and a good study-tool for the rest of us. When I am studying a book of the Bible, I find charts and tables useful tools for organizing information and tracing concepts through a book. These charts will be useful to anyone who wants to get a deeper grasp of Pauline theology. Of course there are limitations to this format Not everything about Paul is charted and I thought there could be more exploration of contemporary theology than Kierspel does here, but these are charts and so are by necessity brief. Mostly this volume is just great at parsing historical and exegetical data, meaning regardless of your theological perspective, whether it be old or new, wrong or Wright, you will find this book a helpful resource. I give this book four stars and commend it to you as a helpful resource for understanding Paul’s theology. Thank you to Kregel Academic for providing me a copy of this book in exchange for my honest review. “Fear not!” said a strange voice behind him. Frodo turned and saw Strider, and yet not Strider; for the weather-worn Ranger was no longer there. In the stern sat Aragorn son of Arathorn, proud and erect, guiding the boat with skilful strokes; his hood was cast back, and his dark hair was blowing in the wind, a light was in his eyes: a king returning from exile to his own land. As Aragorn looks at the likeness of the ancient kings in The Fellowship of the Ring, we get one of our first inklings that he is someone with a destiny. In the same way, when we revisit the record of the kings of Israel we discover a picture of clay-footed-kings and the God they served. Each of the kings pictured failed to walk humbly with their God(consistently) and remain faithful to the covenant; yet God was faithful to them, honoring his covenant with their ancestor David and calling all of Israel’s King’s to repentance. The book of 1 Kings opens with the story of Israel’s third king, Solomon, when his father David was an old man. Solomon is crowned King to prevent his half brother’s attempt to take the throne and he quickly works to consolidate power. Initially he enjoys God’s blessing on his reign. At his best Solomon was a type of ‘new Adam’ restoring God’s people to covenant faithfulness and blessing the whole earth; however, he had his shadow side and he led the nation into idolatry and taxed the nation heavily for the building of his own palace and reputation. When his son Rehoboam succedeed him, he did not alter his father’s policies and that caused eleven of the tribes to follow Jeraboam in the North instead(the kingdom of Israel). While Israel was wrested from Rehoboam’s grasp, for the sake of David, God kept a king on the throne in Jerusalem to rule over the tribe of Judah. When the book of 1 Kings ends, four kings after Solomon have sat on Judah’s throne and four different dynasties have ruled in Israel. The Evangelical Press Study Commentary series purports to bring together some of the best biblical scholarship from a Reformed perspective to produce a commentary that is both comprehensive and practical. They present a careful analysis of the biblical text and a simple application for daily life. This is a commentary aimed at pastors, theologians and laypeople alike, which means them an ideal mid-level commentary. They delve into the depths of the passage while remaining accessible to the non-specialist. If John Davies commentary on 1 Kings is representative of the series, than this commentary series is well worth it. Davies translation and verse by verse commentary is sensitive to literary structure, the grammar and the historical context of Kings. While many Kings commentaries from a generation ago concentrated on ‘the world behind the text’ (the community that produced the narrative), Davies offers a close reading of the text we have, attending to the nuances in the text. He explores where Hebrew language sheds light on the meaning of the narrative (though does not get unnecessarily mired in syntax). He also provides an analysis of the Ancient Near East and places the story of Israel’s kings within the wider story of the Canon (building on Deuteronomy and coming to fruition in the New Testament). Having studied Kings at length in the past I was impressed with Davies insights and the way he picked on some of the subtleties in the narrative. For example, he critiques Solomon along the way demonstrating that chapter 11 is not a dramatic reversal of Solomon’s earlier character but we have had intimations of his failure in devotion along the way. Likewise he picks up on the ambiguities in the Elijah narrative and his slowness to anoint a successor as Yahweh commanded. Davies also provides key insight into the connection with worship, idolatry and political life in ancient Israel (i.e. Elijah’s slaughtering of 950 prophets of Baal in 1 Kings 18, erode Israel’s alliance with Phoenecia, magnifying the crises that Ahab faces in1 Kings 20). There are some real gems in Davies comments which surprised and opened up new insights for me. My one small disappointment with this commentary is that Davies introduction lasts about a page and a half. I appreciate fuller introductions from commentators which fill in some of the theology, structure and themes of the book. Granted the commentary itself will discuss the same information at length but a good introdcution gives you a starting point and a frame of reference for study. It isn’t as though Davies doesn’t have a wealth of information (the commentary is 464 pages) but you will find it with in his comments not in the front matter of the books. This makes this book useful for verse by verse study or for examining a particular passage, but less helpful as a general reference. This is a great commentary on 1 Kings and has whetted my appetite not only for what else this series of commentaries has to offer but for the completion of the story in 2 Kings. If you are studying, preaching or are just shopping for a good commentary on 1 Kings, this is a great option. My go to commentator for Kings is Iain Provan’s (an Old Testament professor of mine) but Davies brings similar sensibility and insight. So gaze with Davies on the Kings of old and discover that despite their and our failure, the covenant God is faithful to his promise to us. Thank you to Cross Focused Reviews and to Evangelical Press for providing me a copy of this book in exchange for this review. No one from Middle Earth was harmed in writing this review. I am a big believer in studying biblical languages, exegesis, hermeneutics and theology. I am grateful for my seminary education but for all it has taught me, the best advice I can give to those who wish to understand the Bible is this: read it. My New Testament professor once said that the Bible is full of treasures but that it does not reveal itself to occasional inquirers. In other words, if you want to understand what the Bible says about creation, what it means to be human, the problem of evil, God’s plan of redemption, the mystery of the Trinity and the coming kingdom then you have to immerse yourself in scripture, inhabit the story and learn its symbols and metaphors. 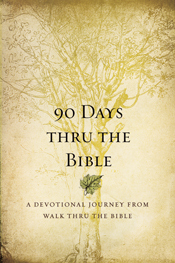 90 Days Thru the Bible is a devotional resource put out by Walk Thru the Bible which (cleverly) is based on a 90 day reading plan which takes readers through the entire Bible. The plan laid out has you read through each of the books of the Bible. Most of the 66 books are each read in a day where some of the longer books are divided over two days or more(Genesis and Psalms are divided into five daily readings; and Exodus Isaiah are divided into three). Chris Tiegreen wrote two-three page reflections based on each of the daily readings. I am currently using this devotional for my daily Bible reading. No doubt many will find reading through the Bible in three months ambitious. However, from my experience reading through the Bible in a short time is easier than reading through the Bible in one year. One year reading plans often have you reading through chapters from both testaments (and maybe a Psalm and a Proverb). Often they break up literary and thought unit,s making it difficult to follow the overarching themes of a particular book of the Bible. While reading through the Bible in 90 days takes a longer daily commitment on some days (some books of the Bible are really short and this plan never has you do more than one book a day), it enables readers to read through a book or section at one time. This is much easier than spending a month in 1 Chronicles and wondering what the point is. Even if you take longer than the 90-day allotment you are still likely to read through the Bible in 120 days and you will have read the Bible in a more connected and less disjointed way. Chris Tiegreen’s reflections do a nice job of summarizing the passage and pointing out major themes. Each day also provides questions for reflection. Because the format of this devotional is dictated by the Biblical text, it seems more substantive than thematic devotions. That being said, this is a 90 day romp through the Bible so therefore is opaque on some of the details. Tiegreen also can gloss some of the sections that people find difficult (conquest, geneologies, etc.) But this isn’t a book for in-depth study, it is a guide through a quick reading of the Bible. The format dictates that all the details do not receive the same attention. I know from experience that when you read the New Testament with the Old Testament still fresh in your mind, you are much more able to appreciate the nuances of the text. For me, I need a simple plan for reading through the Bible or I find it hard to practice the discipline of daily Bible reading. This book is great for my purposes, with just the right amount of detail to keep me attentive to what the text might be saying to me. If you are looking for a daily devotional guide, this seems like a good choice to me. Thank you to Tyndale House for providing me a copy of this book in exchange for this review. One of my goals as a Christian parent, is to pass on my faith and understanding of scripture to my children. So I am always on the hunt for creative ways to teach my kids about the Bible. Most Children’s Bible’s dumb down Bible stories and slap a moralistic lesson on the end. Very few Christian kid’s books help kids dig deeper into the Biblical story. Bible Detective is a sort of Biblical Where’s Waldo? where young readers can hunt for various people, animals or cultural artifacts as they relate to various Biblical stories. So, for example, the first scene is of “Noah, the good herdsman” has two colorfully illustrated pages. We are given a picture of a village of ancient Mesopotamia and readers are instructed to look for a guffa with wild animals in it (it explains what a guffa is), men and women drinking beer with a straw, soldiers wearing leather helmets, a man spreading tar on a guffa, wild animals, reapers, Noah’s wife grinding grain, bronze tipped weapons, Noah’s sons driving a goat heard, riverside pools, people playing a board game called Ur, an Olive press, a woman carrying water from the river, women doing laundry, a boy fishing on an animal skin float, hunters using a bow and arrow, and a charioteer being unkind to the poor. A rather busy scene, like all the scenes in this book. There are sixteen in all, each related to a biblical tale (scripture references printed) and with the approximate years given (time frame is much broader in the case of Noah than in some of the later stories). These scenes give young readers a window into the cultures that these stories happened in and I found it fun reading this book with my daughter and explaining various elements on the page. There are children’s Bible’s which do a good job of telling the Bible stories, but the strength of this book is that it gives kids a fun way to learn some of the background (Ancient Near East cultures and Ancient Rome) which will help them to read their Bible’s well and awaken their imagination about how it all happened. Of course my daughter is only five and didn’t have the attention span to go through more than a page or two of this book at a time (the puzzle search books she has are not quite this complicated). I think this book is a great book for children slightly older than my own. However, if you do read it with younger kids you will still have fun and there is a little red fox which is hidden in every picture for them to find. I would recommend this for young readers and Bible lovers. There is an answer key in the back for parents who also can’t find items (I used it myself, there is no shame here). Thank you to Kregel Publications for providing me a copy of this kid’s book in exchange for this review.